I fell in love with these cases when they first came out. So I finally decided to pick one up on eBay. The XPS 700, 710 and 720 were built to house a BTX motherboard. It mounts on the right side panel instead of the left like everything else. 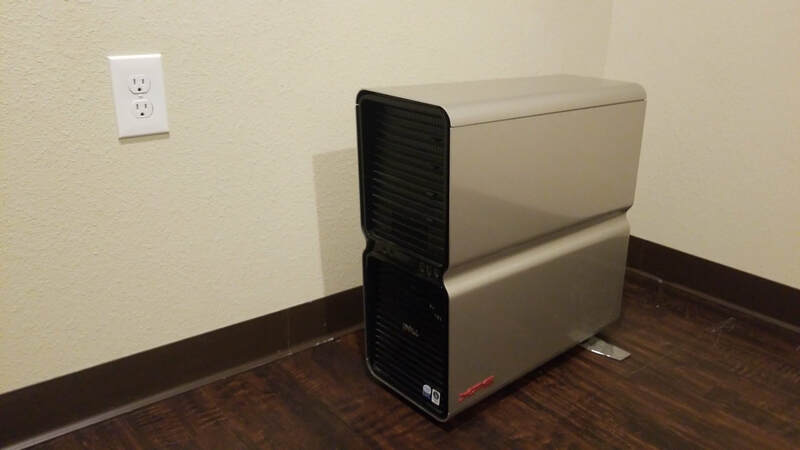 The XPS 730 was the last of this style of case and housed an ATX motherboard so it wouldn't need to be modded. But they are hard to find for cheap and I wanted a project. The hardware will come from the Alienware Predator. (The Alienware will get Alienware hardware put back in it). The XPS will get the i7 3960X with 32gb of ram and two GTX 970s. It's all a bit dated but a complete overhaul and refresh is coming early next year. But it will forever be ATX compatible now. I skipped a lot of photo opportunities so there are a lot of things missing in the log here. But I did manage to get a few good shots. 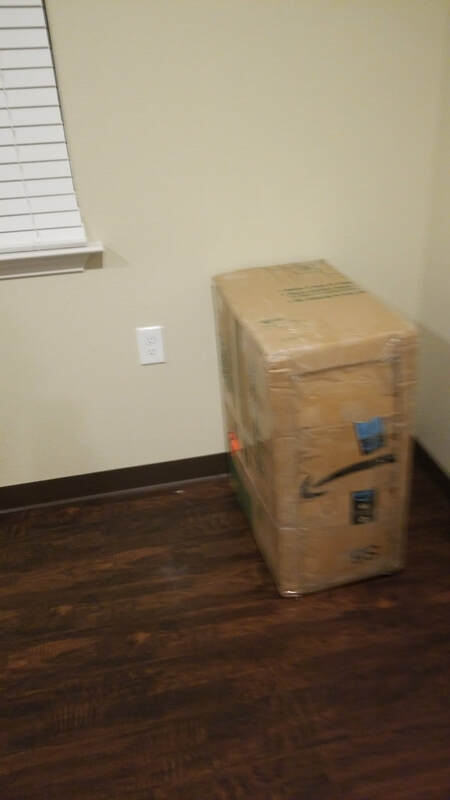 ​Taken out of the box it was as big and beautiful as I believed it would be. . 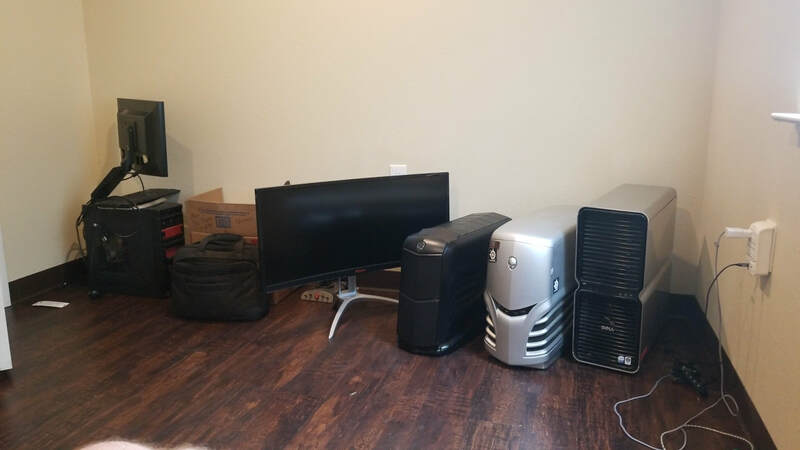 I was half way through moving when the case arrived so my new office wasn't set up yet. And here are the guts removed. All the dividers, HDD trays, ETC. The hardware included a burned out BTX socket 775 intel motherboard and a core 2 duo. 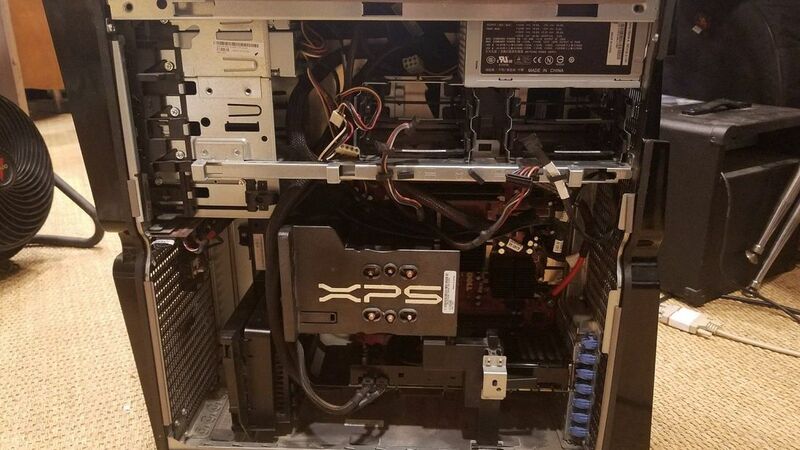 A working 8800GTX (I will use it somewhere) and a factory 700w PSU. 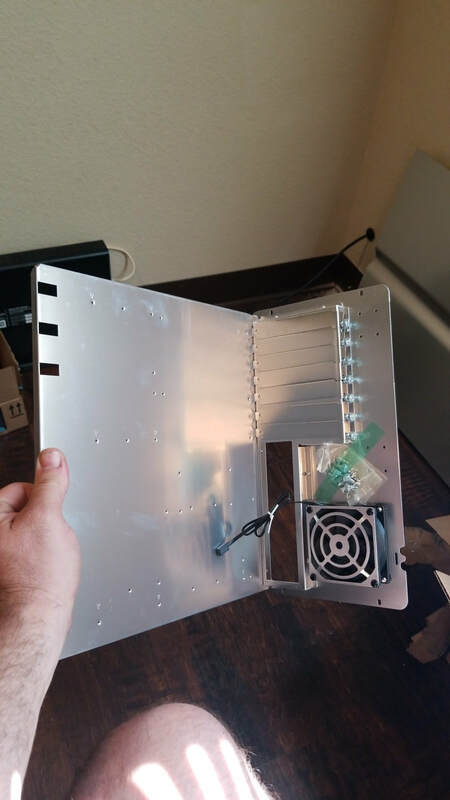 I have seen a few people mod this case for ATX and went through the extra hassle of rewiring Dell's proprietary connections for the LEDs, audiom, USB and power buttons. I just bypassed it all and am adding new stuff. I did manage to make the plugs work with the lighting system I added (I'll add a link). 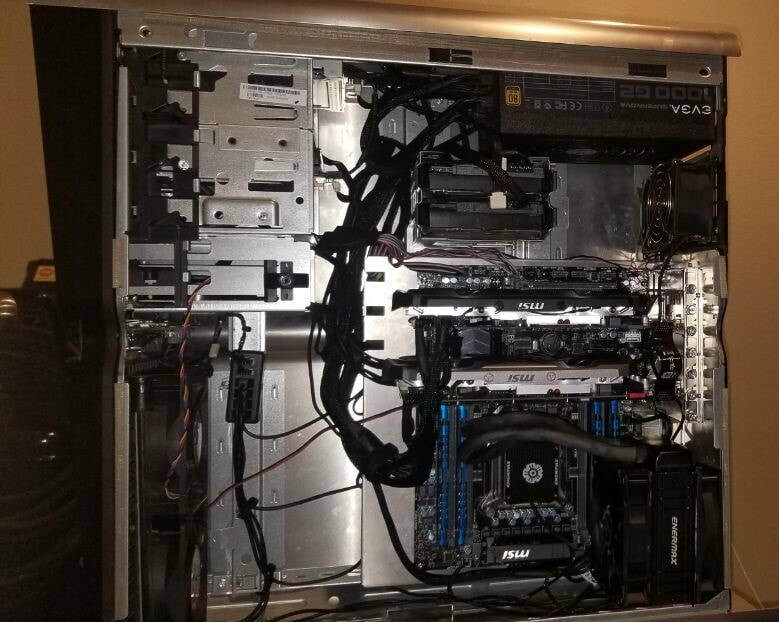 I mounted two 80mm fans I had lying around in the grill below the PSU. I am going to wind up getting all matching fans but for now I am using what I have on hand. 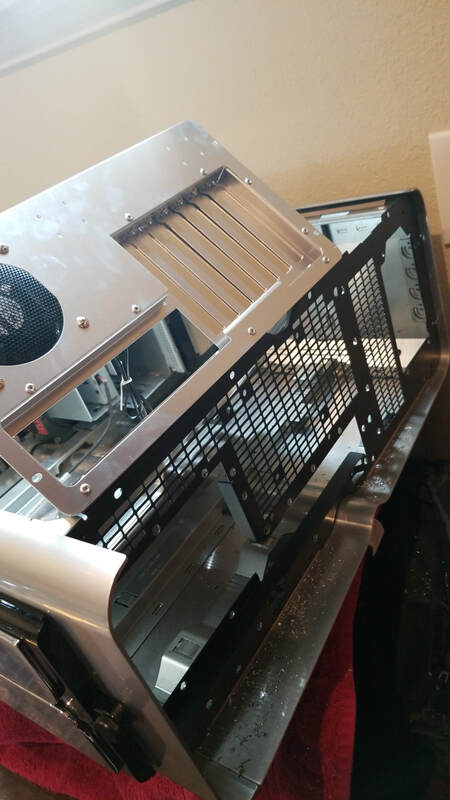 In the pictures below I ran into a problem, The Lian Li motherboard tray's backplate only had a single 80mm fan. 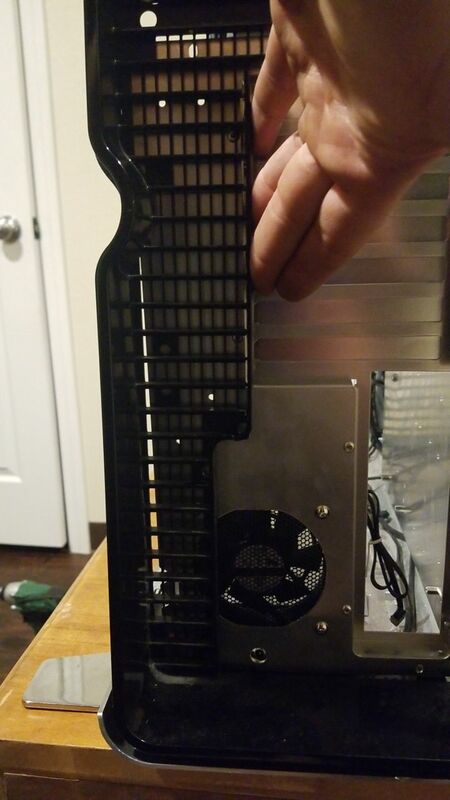 I needed a 120mm to mount my radiator and fans. 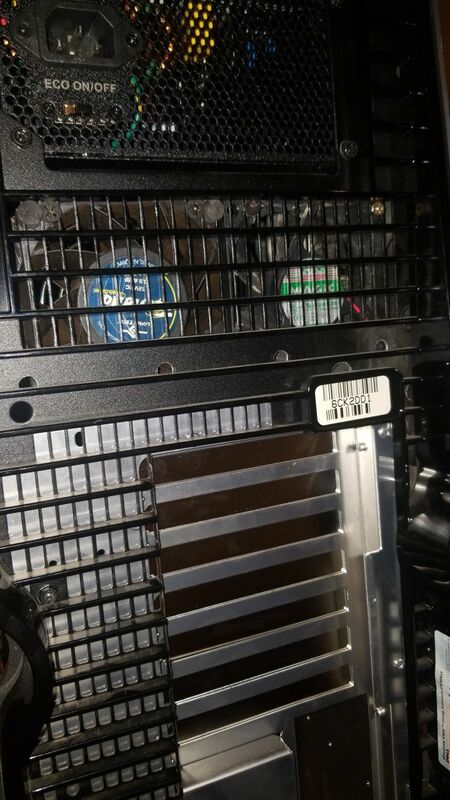 Also the bracket on the bottom of the side panel had to be cut away so it wouldn't hit the radiator and fans. I'm still going to come back and straighten the wiring up a bit and add wire shrouds when my matching fans come in. Also I wound up turning the water pump 90 degrees counterclockwise so that I could flip the radiator over and put the hoses on the bottom.